Santa is coming to town! 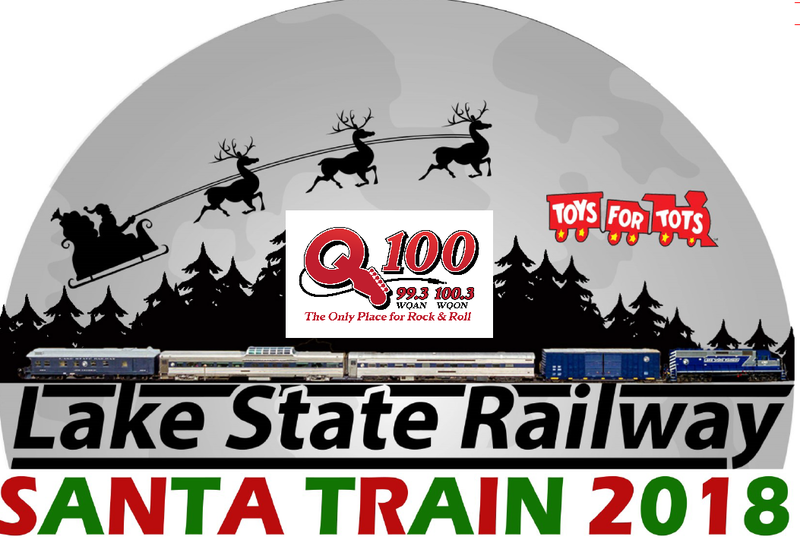 Join Q100 a - 99.3 in Traverse City and 100.3 in Grayling and Lake State Railway, Saturday, December 1st from 4-7P at The Depot in front of the Crawford County Historical Museum in Grayling. 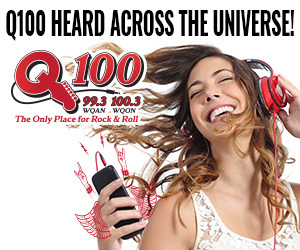 Q100's Jomama will be broadcasting live...stop by the Q100 booth and spin the Bay Mills Resort & Casinos Spin to Win Wheel to win prizes! Santa and Mrs. Claus will arrive via a historic Lake State Railway Freight Train. Bring the family! Take photos with Santa Claus on the train. Enjoy hot chocolate, cookies and be sure to bring Santa your Christmas wish list. Parents are welcome to take pictures of their children with Santa for no charge. Toys For Tots drop boxes will be available to collect optional toy donations! Donations accepted will directly benefit Toys for Tots, Grayling Museum & the Santa Train for 2018!